Only a few years ago, “outdoor living” typically consisted of a few plastic chairs and grill. 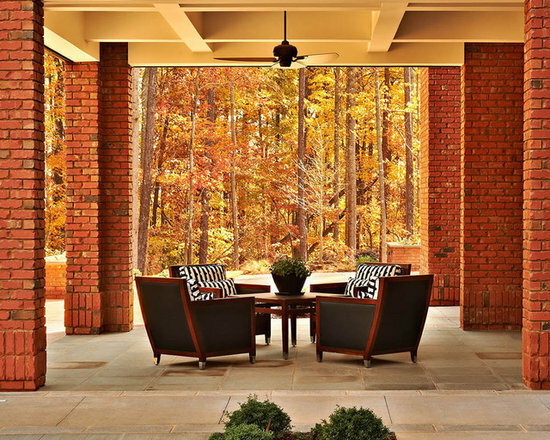 Today, more people are transforming their outdoor areas into an extension of their indoor living spaces. Whether you are using your outdoor space for fiestas or siestas, embrace the al fresco lifestyle and make your outdoor space just as stylish as the rest of your home. Keep reading for some easy ideas to make your yard into the new favorite area of your home. 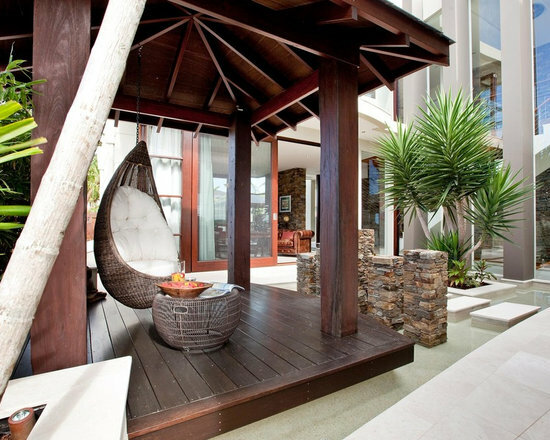 As you plan the creation of your new outdoor oasis, be sure you make it clear that you are creating an outdoor “room”. If you are utilizing an existing structure, like a covered porch, most of the work will be done for you! However, if you are creating a brand new outdoor space be sure to add an all weather flooring, like stone or wood. 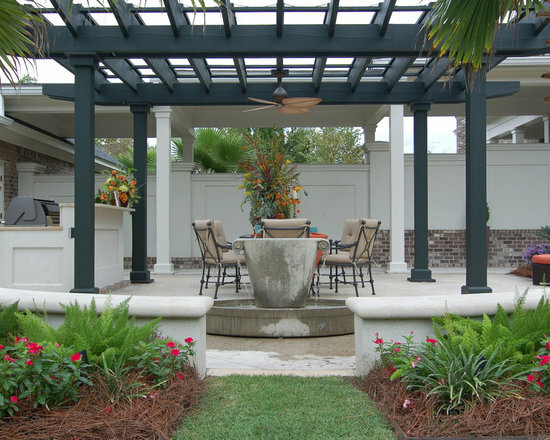 Also, consider a pergola or other overhead structure to not only add architectural interest, but also protect from the elements. These structural elements are important because they make it clear that this is now an extension of your indoor living space. They also allow your new outdoor space to be a welcoming destination rather than simply a comfortable assembly of outdoor furnishings. When you start to design your outdoor space, the two most important things to consider are how much space you actually have to work with and what you plan on doing with that area once it is completed. Do you plan on entertaining a lot of guests or do you just want a place to relax with a book? 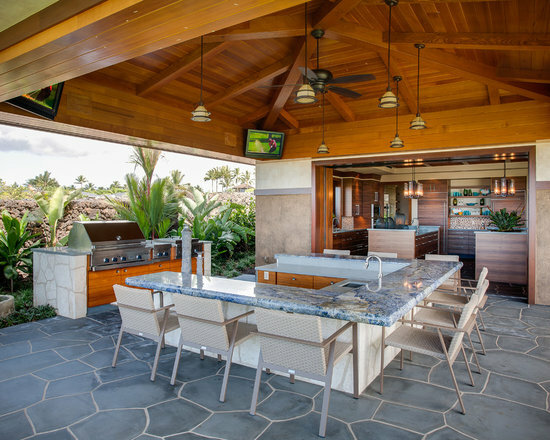 If you plan on entertaining, and have the space available, consider an outdoor kitchen. With many cabinetry companies now offering durable material options, many of the comforts enjoyed indoors can be brought outside for an al fresco dining experience. To really solidify your standing as the best yard in the neighborhood, add a dining or living room to your outdoor kitchen with comfortable and durable furniture. If you are limited on space but want to embrace outdoor entertaining, pick and choose the most useful elements from the ideas above and create a custom space that works perfectly for you. To create a me-time refuge, think about what you do to relax indoors and how you can bring that outdoors. Carefully curate flora and fauna, luxurious seating, and cherished accessories to create an intimate sanctuary just for you. How much privacy do you need? For relaxing with a good book and glass of wine, perhaps tall greenery is enough seclusion. 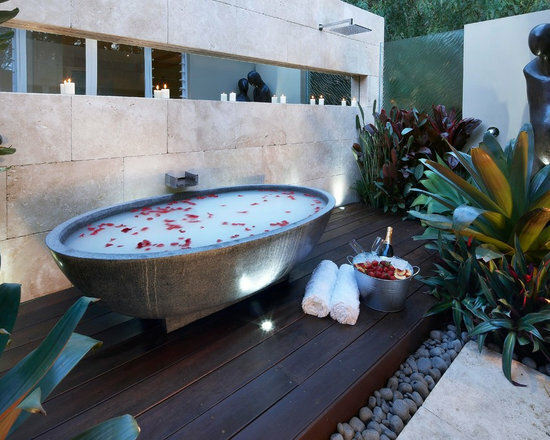 If you are the adventurous type, invest in structured walls to create a private courtyard and enjoy that glass of wine with a bubble bath. Consult the designers at Kitchen Views to create your outdoor kitchen, the designers at Babel’s for outdoor fabrics and furnishings, and visit National Lumber for all your building materials and supplies. 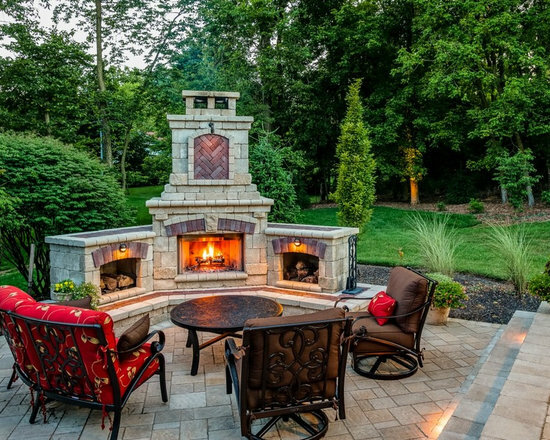 Regardless of what you plan to use your outdoor space for, the National Lumber Family of Companies has experts in every area to help you create the outdoor area you have been dreaming of.